Suzuki might not make a huge impact on the sales charts, but it's something of a small car specialist and that's no more obvious than with its Swift. Suzuki might not make a huge impact on the sales charts, but it's something of a small car specialist and that's no more obvious than with its Swift. The 2004-2010 generation of its supermini contender appeals with its fine driving dynamics and solid build and reliability, its good looks only adding to what's an appealing all-round package. Small sales numbers mean it's relatively rare too, so you'll stand out from the supermini crowd. 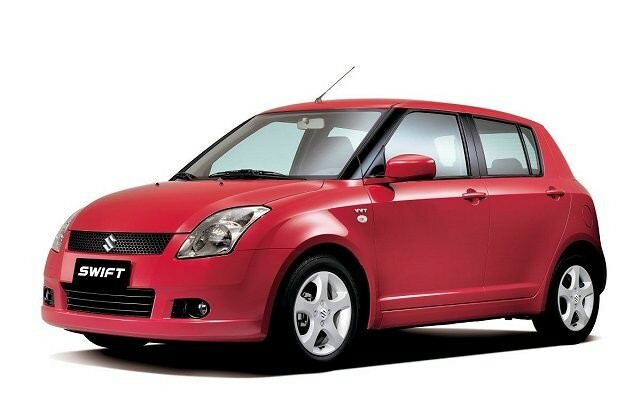 Suzuki took the Swift back to a more conventional supermini package in this guise - introduced in 2004. It's actually considered a sub-supermini, sitting just below the ever-expanding small hatch marketplace, though despite this it offers reasonable interior space front and rear. It's something of an underground icon, the Swift Sport in particular winning plaudits from enthusiasts as an inexpensive, enjoyable hot hatchback - though they rarely pop up in the classifieds here. Even in less potent forms all Swifts retain the fun-to-drive appeal of the range-topper, so the steering is light and accurate, the suspension control good and the range of engines over-delivering despite their relatively modest outputs. Build quality is high, while the interior is nicely finished and un-fussy in its layout. It looks good outside too; its relative rarity and smart lines meaning even the oldest models have the ability to turn heads in the company of newer rivals. Engine choice is limited to 1.3-, 1.5-and 1.6-litre petrol units, the latter being the Sport, while a sole 1.3-litre turbodiesel was also offered. Unusually the Swift was available in some markets in four-wheel drive with either the 1.3- or 1.5-litre petrol units - though these are rare, imported models in Ireland. The 1.3 makes up the majority of availability here, with the 1.5-litre usually mated to an automatic transmission. Trims follow the Suzuki norm, so GL, GLX and Sport make up the choices, with GLX adding alloy wheels and air conditioning over the GL models. There's little difference in price between the GL and GLX in the classifieds so it's best to go for the more extensively equipped car if you can. The only real engine choice is the 1.3-litre unit, so a 1.3 GLX in five-door guise would be an excellent pick. The Swift is a good-looking, reliable and enjoyable to drive alternative to the mainstream supermini norm. It might not be the biggest car in the class, but it's well worth looking out for one if space isn't such an issue.